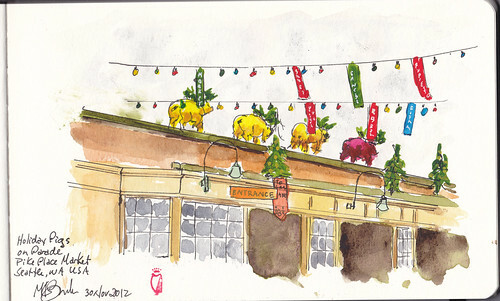 Carleen suggested she and I get together today to sketch at Pike Place Market on Friday (yesterday). I thought it was a good idea as I've never seen the market decorated for the holidays. We met early.